There is a deep(er) swimming pool for the older kids and adults. The swimming pool has an extenisble roof so we can open it up in the summer. Open daily (the whole season) from 9.00 till 21.00 o’clock. Discover the wading pool with several water cannons, water slides and a lot more! The swimming pool has an extenisble roof so we can open it up in the summer. 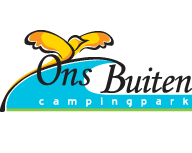 Relaxing is easy with several wellness activities and our ‘Zeeuwse’ Massage Parlor at Ons Buiten. Come and enjoy the sauna, infra-red sauna, steam bath, salt cave, whirlpool and a relaxation room where relaxation comes easily.